If you don't know what Methylfolate is, select No. We'll explain later. Your baseline remaining lifetime risk of breast cancer depends on your age and can include various other other factors such as genetics, obesity, or alcohol consumption. Our calculator assumes that you are an average US woman with no genetic predispositions. Your baseline is your chance of getting breast cancer during the remainder of your life, not over your entire life! Your baseline therefore is the % risk that you will develop breast cancer between your current age and age 80 (we assume an average lifetime expectancy of 80). Consumption of alcohol increases your remaining lifetime risk of breast cancer. Our calculator therefore increased your baseline risk. You do not consume Methylfolate to counteract the negative effects of alcohol. 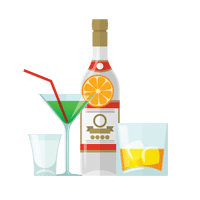 Solution: Use a specialized supplement like Cosmo Companion to reduce your added risk from drinking by up to 89% while improving cellular health, liver function and alcohol detoxification. Good news! By consuming Methylfolate daily, you are decreasing your additional breast cancer risk from alcohol consumption by up to 89%. Continue to consume Methylfolate and consider using a supplement like Cosmo Companion, the only methylfolate product that also improves liver function, detoxification, cell regeneration, alcohol sugar metabolism and optimal cellular health. 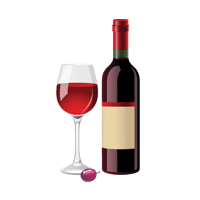 Studies suggest that limited red wine consumption may possibly decrease your lifetime breast cancer risk; however, this data remains inconclusive so we have not included it in your calculation results. Other studies do show that women who consume red wine as opposed to other alcoholic beverages decreases the likelihood of death from any type of cancer up to 22%. The purported reasons for this reduction include the facts that red wine behaves, in part, like an anti-estrogen in your body (specifically, as an aromatase inhibitor), and the resveratrol from red grapes inhibits all three requirements necessary for cancer to form: initiation, promotion, and progression. 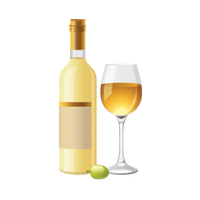 What does this alcohol calculator do? Are the results based on scientific data? What is Methylfolate and why does it matter? 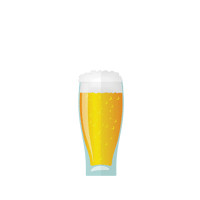 Our breast cancer alcohol risk analyzer establishes your increased risk of breast cancer over the remainder of your lifetime due to the type and amount of alcohol you consume daily or weekly. The calculator considers additional variables, such as a decrease in lifetime risk for women who consume Methylfolate on a daily basis. Any person between the age of 20 and 80 who consumes alcohol on at least a weekly basis and would like to establish their increased risk due to their regular alcohol intake. While occurrence of breast cancer in men is rare, it does happen and increased alcohol consumption increases risk for men just as women. Our breast cancer alcohol risk calculator is based on various validated scientific studies and research. These studies have assessed increased breast cancer risk due to certain levels of alcohol consumption, the effects of certain types of alcohol that may have a positive effect on breast cancer risk (such as red wine), as well as the risk reduction experienced by drinking women who consume certain levels of methylfolate daily. We combined the data from these studies into a robust algorithm to provide you with an easy-to-understand lifetime risk percentage based on your personal alcohol preferences. Please enter your information in the calculator to see your results. We will tell you whether Methylfolate could be of benefit to you, including its relationship to alcohol and why it can be helpful in reducing breast cancer and other health risks.